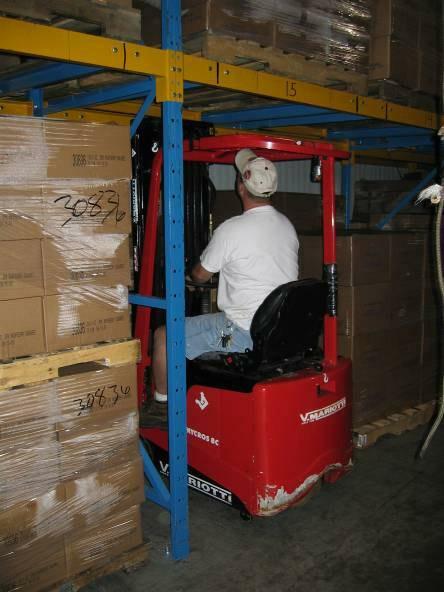 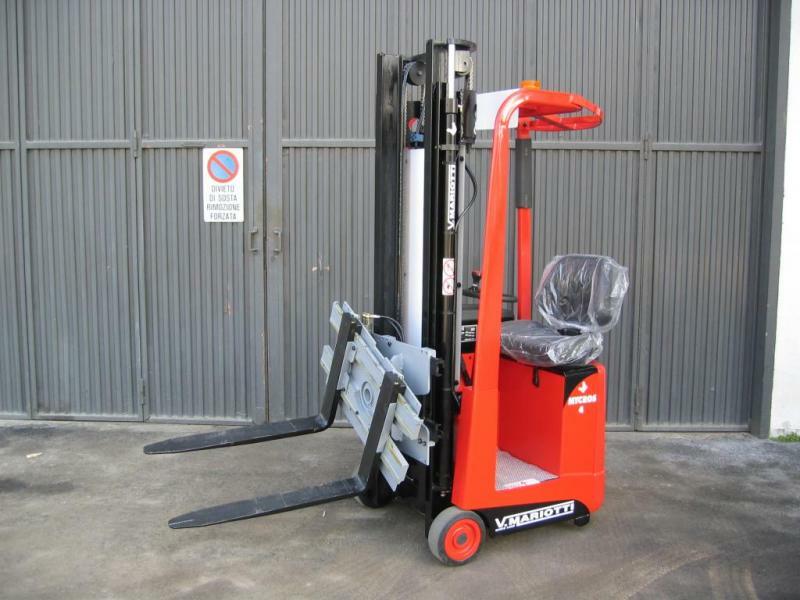 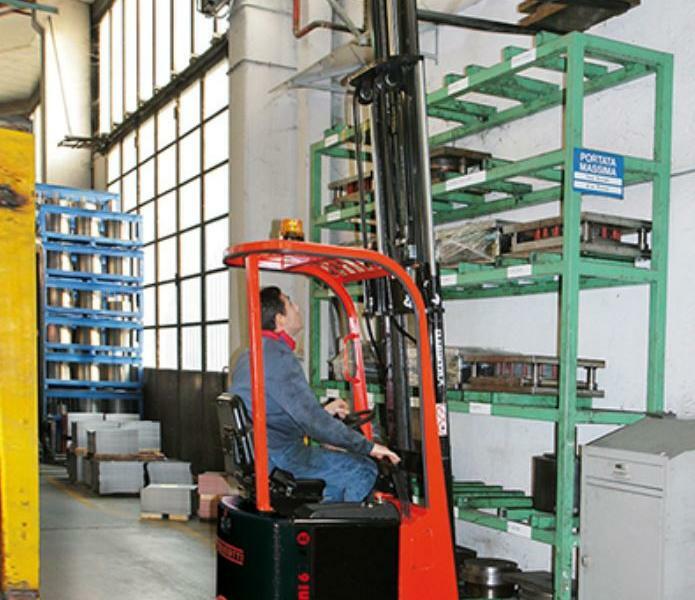 MINI AC Series forklifts have many unique features and are able to work in tight places where no other forklift can operate. 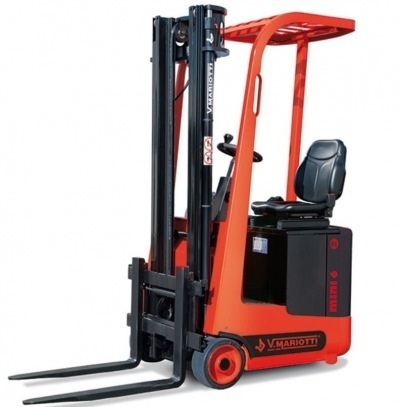 Models in this series can be as small as 43" long by 34" wide and have a lifting capacity of 1100 lbs. 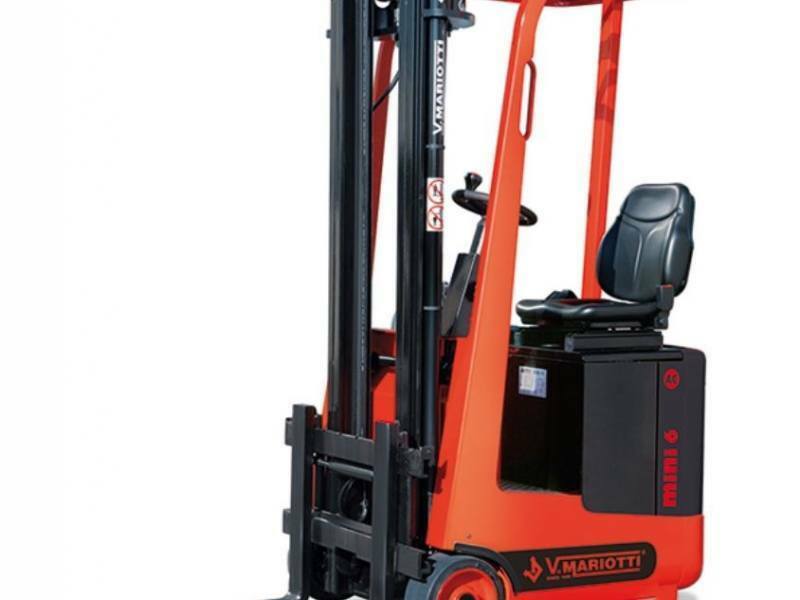 Standard features include: power steering, integrated side shift, AC traction motor, electronic lifting control and hydraulic brakes. 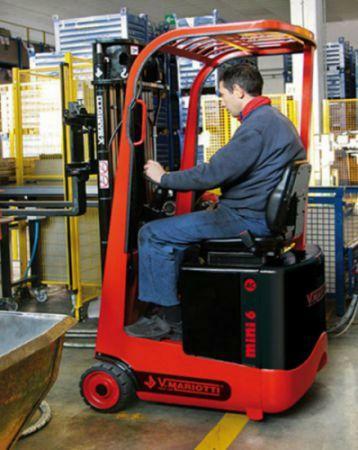 Seat and controls location are designed for operator's maximum comfort. 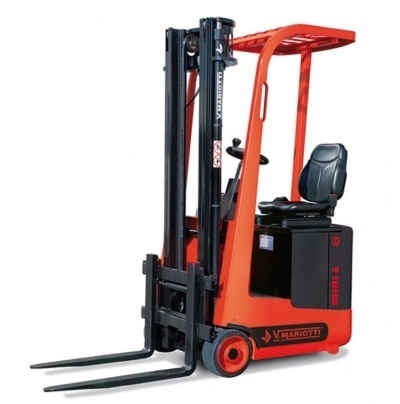 MINI AC features a 24V 375Ah battery to achieve optimum run time. 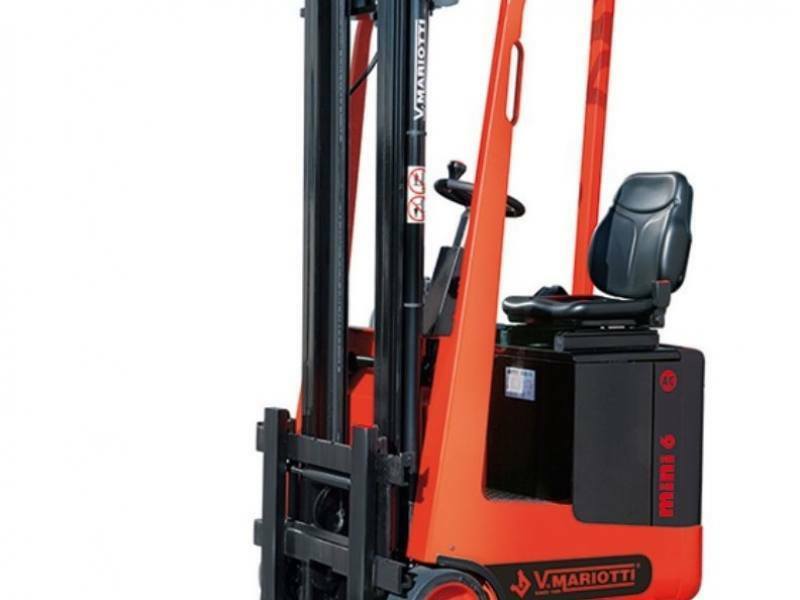 The gearbox and the rack & pinion power steering system are exclusive designs of V. MARIOTTI.